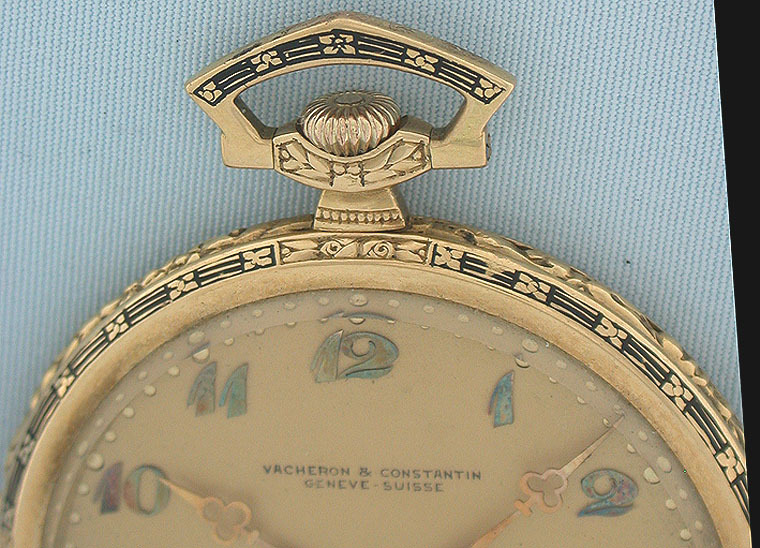 Fine 18K gold and enamel Vacheron & Constantin Art Deco slim dress antique pocket watch circa 1926. 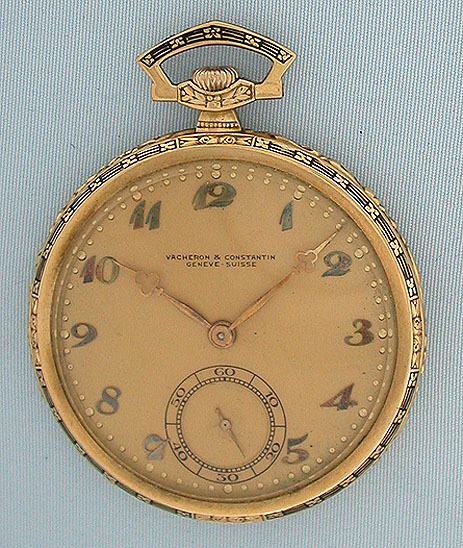 Original gold dial with applied gold niumbers and fancy gold hands. 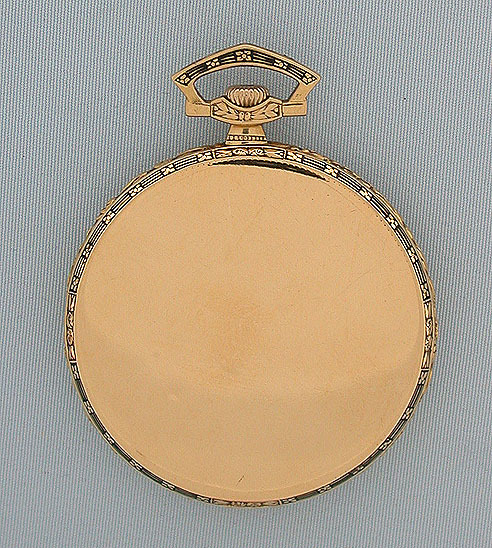 Fancy case band, the bezels and bow with black enamel designs. Slightly wavy plain polish case back. 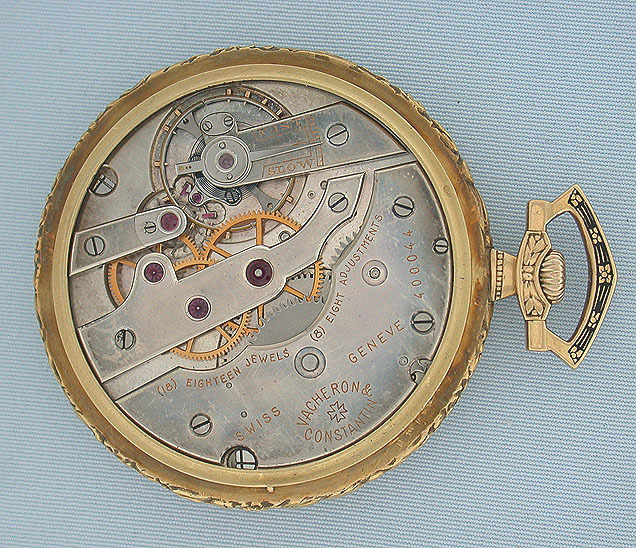 Nicel 18 jewel 8 adjustment movement. Handsome.